Swedish telecoms firm Ericsson posted improved first quarter results Friday, as it presses a massive cost-saving drive that has prompted thousands of jobs cuts. Investors welcomed the news, with Ericsson's share price jumping nearly 17 percent of the Stockholm stock exchange in Friday trading. 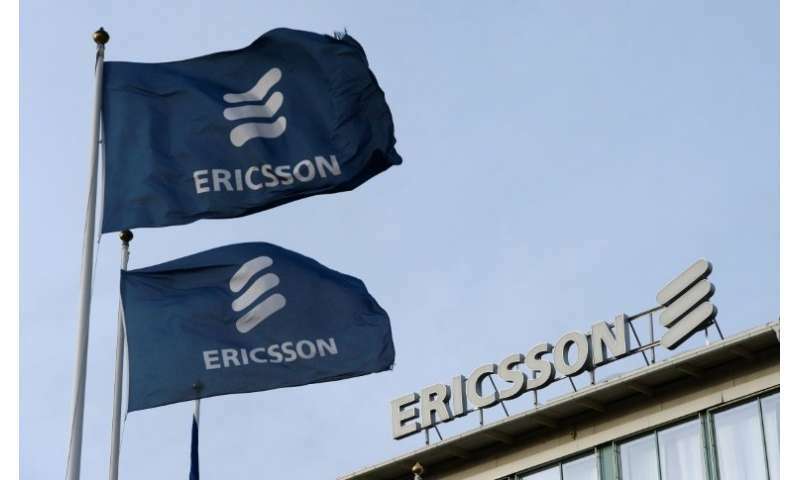 Ericsson reported an 80 million euro ($99 million) loss for the first three months of 2018—a major improvement from the 1.13 billion euro loss of the same period last year. Ericsson, once a market leader in the mobile phone industry, saw its earnings slump year after year following the meteoric rise of smartphone giants in the United States and Asia. "Our efforts to improve efficiency in service delivery and common costs are starting to pay off," CEO Borje Ekholm said in the statement. Ericsson is also investing in cloud technology, and in telecoms systems for self-driving vehicles. Speaking to Swedish news agency TT, Ekholm also said he had "complete confidence" his firm would achieve its target of cutting 10 billion kronor (963 million euros, $1.2 billion) in costs in the current half. In 1956, it created its first mobile phone—which weighed 40 kilos and was the size of a suitcase. It wasn't until 1987 that Ericsson built is first handheld mobile, named the HotLine Pocket, a boxy-looking black phone with bright orange keys and a pull out antenna. In 1999, Ericsson released the iconic, ultra-slim T28 model, which weighed just 83 grams and had a phonebook capacity for 250 contacts as well as a ringtone composer function.